Your baby can communicate from the womb if you just learn to listen. The Tibetans believe that pregnancy is the time when a woman has the strongest connection to “another realm” because her baby is living partially in her body, and partially in the spirit world. This spiritual gateway is also believed to release the full voice of the woman’s intuition, allowing her to send and receive messages to and from her baby. For some, these messages come via clear voices heard in the mother’s mind, or said by another at the exact time the mother is asking a question of her unborn baby. But, for many pregnant women messages from their baby come through in more abstract, but just as powerful, channels. Following are ways you can open up this magical communication channel with your baby, helping to ensure they’re able to be one of your guides throughout pregnancy and childbirth. When the energy around or within you is stagnant, the channel of communication between you and baby becomes blocked. To begin clearing these blocks, get rid of the clutter in the primary areas you spend time in, only keeping objects and pieces of furniture that you love or add usefulness to your life. After your outer clutter is cleared, ensure your inner environment is uncluttered by forgiving others for wrongs you feel they’ve committed, and forgiving yourself for missteps you believe you’ve made. Just let it all flow out – your communication channel with Baby will blossom in the clear space that is left. Now that you have a clear channel for communication, begin to tap into it by minimizing distractions, closing your eyes, and placing your hands on your belly. As you sit, notice warmth from your heart center beginning to radiate down towards your uterus, then notice a warmth spreading up from the center of your uterus. Allow the warmth from your heart and uterus to connect and create a channel of love that is alive with love for your baby, and from your baby. You don’t need to search for any profound messages in this space, just sit, and be, and feel warm with your baby. You’re now tuned in to a feeling-connection with your baby, and are now ready to explore your thinking-connection. To do this, set aside twenty to thirty minutes, preferably after you practice the heart-centered meditation, and begin writing. There is no prompt for this writing exercise, just write whatever comes to you, even if you just write, “I don’t know what to write” for the first few minutes. Let words pour out of you without pausing to analyze spelling, sentence structure, or even the topic you’re writing on – just keep writing. You’ll likely notice, if you commit to the full time, that interesting and meaningful messages will begin flowing from pen to paper, maybe even messages that don’t seem to be coming from your own mind . . . The more you tap into your psychic connection with your unborn baby the more you’ll notice the rhythm of your thoughts and desires shifting. You may start to think about relationships, work, or maybe food in new ways, and notice that you’re having desires for conversations, experiences, or other facets of life that you never had before. What if these subtle shifts are your baby communicating with you? Maybe this is his way of encouraging you to live a life that will optimally set the two of you up for your new life together – may be. Subtle communication, with your intuition or baby, is often missed when you hastily move through life. To ensure you’re able to honor the messages from your baby, pause before you speak, make decisions, or transition into a new activity. This pause may just last a few moments but can create the space for you to live with greater intention and a heightened awareness of the needs of your baby. 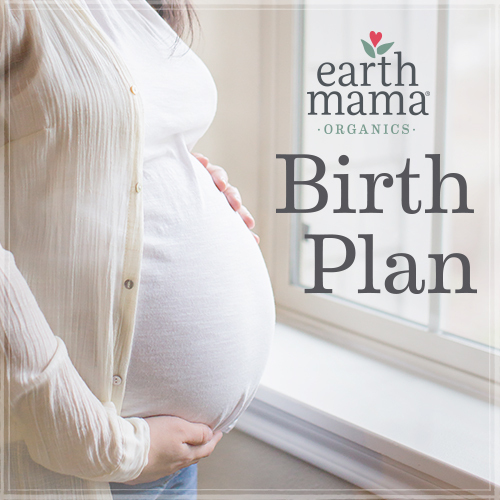 An added benefit of developing this psychic connection with your baby, before they’re born, is that it will make their transition from womb to the outer world smoother for you both. You’ll have a preexisting mode of communication, which will enhance your baby’s ability to “tell you” what they need, and your ability to decipher and respond to those needs. This enhanced communication will also make the many moments of challenge easier to navigate because you’ll be connected to the bigger picture – that the two of you are co-authoring an epic love story. P.S. Until 12.31.17 you can get 10% off my favorite baby carrier at ErgoBaby.com! Just use the super simple coupon code BBMkp9VIniU 😉 And, FREE shipping! My son is already having concerns about re-entering the equally fascinating and intimidating world of school. He’s such a little guy that it seems hard for him to find the words to express his nerves but this book gave him an outlet to explore his feelings in a fun and non-threatening way. The book makes the point that no matter who you are it can be scary going back to school, but this entry can be even more challenging when you feel like you are different, which so many of us do. This book is fun, humorous, and relatable, offering a safe space for parents and children to examine the emotions attached to a new school year.